Bruxism is a condition that’s characterized by the grinding, gnashing, or clenching of teeth. Mild cases might not require treatment. But severe cases can lead to headaches, temporomandibular joint disorder, jaw pain, and other health concerns. Left untreated, this condition can cause your tooth enamel, dental crowns, and fillings to loosen and break. Although bruxism is generally thought of as a sleep-related movement disorder, it’s not uncommon for people to grind, gnash, or clench their teeth while awake. Both types of bruxism, sleep-bruxism and awake-bruxism, involve involuntary and unconscious movement. However, those who grind, clench, or gnash their teeth during sleep are less likely to know they have a problem and more likely to suffer from sleep-related disorders like snoring and sleep apnea. Like other sleep-related movement disorders, sleep-bruxism can interfere with sleep quality. It involves tensing of the muscles, which can keep our bodies from falling into the deep, restful sleep required for total relaxation. For these reasons, sleep-bruxism is considered a bigger health concern than awake-bruxism. Since people with sleep-bruxism can remain unaware of the problem for years or until the development of other complications, knowing the signs and symptoms of this condition is important. Although the exact causes of both awake-bruxism and sleep-bruxism remain unclear, doctors believe that a combination of psychological, physical, and genetic factors might be responsible. Awake-bruxism might stem from emotions like anger, anxiety, stress, tension, or frustration. 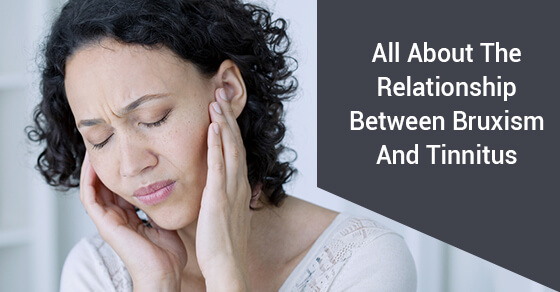 About 70%of awake-bruxism cases seem to be related to stress and anxiety. Awake-bruxism might also be a habit that occurs during deep concentration or a coping strategy like nail biting. Sleep-bruxism, on the other hand, might be a sleep-related chewing activity that correlates with arousal during sleep. High levels of anxiety, stress, anger, or frustration can lead to this condition. In adults, teeth grinding occurs at a much higher rate in those who tend to have intense emotional reactions. Teeth-grinding rates decrease with age, which is why it’s more common in early childhood. People tend to outgrow this condition before adulthood. In fact, it’s estimated that about 33% of young children have sleep-bruxism or grind their teeth during sleep. On the other hand, its prevalence in adults under the age of 30 is around 13% and about 3% in those over 60 years of age. People who have hyperactive, aggressive, or competitive personalities are more likely to develop bruxism than others. Teeth grinding might be one of the less common side effects of psychoactive drugs, particularly certain antidepressants. Nicotine, caffeine, and alcohol use might increase the risk of teeth-grinding. Teeth-grinding can be associated with several disorders and mental illnesses. Examples include epilepsy, obstructive sleep apnea, REM behaviour disorder, hyperactivity disorder, dementia, attention deficit disorder, gastroesophageal reflux disorder (GERD), and Parkinson’s disease. Teeth-grinding might also occur genetically. Teeth-grinding has no cure. But as stated earlier, treatment isn’t always necessary. Apart from the fact that it can be outgrown, not many adults suffer from cases that are severe enough to necessitate therapy. Should lifestyle modifications prove ineffective or insufficient, dental devices or other therapies can be used to help alleviate the problem. Dental devices for bruxism include occlusal bite guards, splints, and bite plates, all of which can be custom fitted by a dentist. These appliances are designed to separate the teeth, preventing further damage and grinding sounds. The dentist will take an impression of your teeth to ensure the device fits over your lower or upper teeth perfectly. Mandibular Advancement Devices (MADs), for instance, are designed for overnight wear and can be fitted by a dentist to help prevent teeth-grinding. MADs keep the tongue forward to ensure it does not obstruct your breathing, which might be the case if it collapses back into your airways. For severe cases, there are several approaches to help prevent and correct the damage to your teeth. You should consult a dentist to find the best option for you. In case of heightened sensitivity and the inability to chew properly due to tooth wear, dental correction might be necessary. Your dentist may have to use dental crowns to repair the damage or, if need be, reshape the teeth’s chewing surfaces. Strategies that promote relaxation like yoga and meditation can help stop stress-related teeth grinding. Advice from a licensed, professional counsellor or therapist might help relieve teeth-grinding if it’s associated with an anxiety disorder. Positioning your mouth and jaw properly might help stop teeth-grinding behaviours. Your doctor or dentist can show you the most effective mouth and jaw position. This method teaches control over the movement of jaw muscles using monitoring equipment and procedures. In general, medications might not be very effective. Even so, Botox injections, muscle relaxants, and antidepressants or anti-anxiety medications can be used. Compared to other approaches, combined therapies have proven more effective. For instance, cognitive behavioural therapy can be applied in combination with the use of occlusal splints. For more information about treating bruxism, call Dawson Dental at 1-877-542-2043 or visit our contact page here. Do you often wake up with a sore jaw? Are your teeth a bit more sensitive than usual? If yes, you may suffer from bruxism, one of the most common dental conditions. Bruxism is simply the clinical term for teeth grinding.